Did you know that your smile can help you reach your goals for 2017? Your teeth may not seem to be a big deal, but a healthy, beautiful smile can give you the confidence you need to achieve your personal and professional goals. Cosmetic dentistry offers a number of options for enhancing your smile no matter what condition your teeth are in now. Your cosmetic dentist in Los Fresnos can brighten your smile for the New Year. Perhaps your teeth just need a boost? Whitening your teeth is a quick and cost effective way to make a huge impact on your smile. 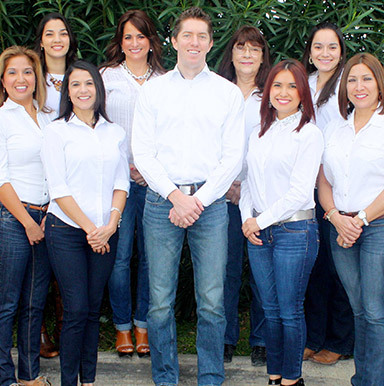 Los Fresnos Dental Center offers two options for whitening that are convenient and efficient. Our in-office whitening procedure is ideal for those seeking fast results, and in less than an hour, you’ll leave our office with teeth that are 6-10 shades lighter. Take-home whitening trays are a great choice for those who would like the freedom to whiten at their own pace and update whenever they like. We’ll create custom fitting trays and supply you with a high strength whitening gel. We’ll show you how to safely use the gel, and within two weeks you’ll enjoy results. You’ll have your trays at home to use to brighten your smile before that next big vacation or event. Our doctors will customize veneers to improve your smile and bond them directly to your teeth, as they’re a thin layer of porcelain designed to fit over your natural teeth. They’re stain resistant, which means you won’t have to worry about whitening your teeth. Veneers are easy to care for, as you’ll be able to brush and floss like normal. They’re also very durable, offering great longevity with the right home care, and can potentially last for 10-15 years. If you’re ready to claim your best smile for 2017, give our office a call today to schedule a consultation with our doctors and learn what’s possible for your smile.